Hero Factory was experimenting with the creation of luminescent drones to explore dark areas, the void of space, or underwater. This project worked quite well- the drones, known as Lucient drones because of their bright glow, were able to aid heroes on many successful search and rescue missions. However, a small amount of energy residue from heroes' Quaza cores collected on the Lucient drones' light-generating shells (by this I mean outer body); this thin residue reacted to the many different chemicals in various locations, causing the residue, on the shells of the Lucient drones, to change to many outlandish colors. HF engineers tried to get rid of this problem; however, the heroes had grown attached to the bumbling glowy things, nicknaming them Lucient sprites. So, the color issue was never actually solved, leading to the appearance of the Lucient sprites today. to;dr The drones glowed, chemicals made them change color, and now they look like this. That's just my idea for a Lucient sprite backstory, typed it up in about five minutes, so not much thought went into it. I really like your work on this MOC, specially what did you do with the body and the head. They are really cool! I have a very, and I mean VERY BIG problem with the translucent Toa brain pieces. Every brain I've got is attached to a Toa head, and I can't remove it! Please, tell me how can I do it!!! P.S. The music in the background really suits the sprite. The branch of hero factory that makes delicious fruit products screwed up. A worker fell into a jello processing unit and was biologically mixed with the tasty treat. He can become liquid(maybe he can escape a tight squeeze by flushing himself down the toilet) and shape-shift. He of course is made of food and is in danger of being eaten. King.I will try to make a story line jang. The sprits are crechers that came before herofactory farly smart,strong it evencholy evolved in to what we know the creation of life but paredice was not to last for EVIL (a completely black,gun metel gray titin sised monster) crept in and DESTROYED everything and so he roled and was able to bring the sprits back so the sprites made PARIDISE again but EVIL was BANESH'D. movie= NEW FIGURE LINE! So, expect new characters, new designs, and hopefully, maybe they use the new system for it. So, all bionicle fans, hope is not lost for you, Bionicle is rising again. And my name is Yodamaster from oeigamiyoda.wordpress.com. What is this about a new Bionicle movie? Screams fake to me. Especially since it supposedly goes through almost the entire Bionicle story, while changing many parts of it; and also that it is supposedly directed by Michael Explosion Bay, and the cast is insane. Anyway I still do not know which HF sets to buy tomorrow; with a price limit of $20-30 and a potential Lego store visit, what should I buy? I want Rocka, BP, Splitface, and Furno, so I have a bit of a tough decision. I would've gotten something today, but the TRU closest to my current location had no HF 2012 sets at all. @Yodamaster: We know about the blaster. And the new Bionicle movie you just told us about is fake. It's not on the Internet, so that means it hasn't been leaked, or else everyone would have posted it, and that also means that you probably made it up. @ Anonymous #1: There is a tutorial on BZPower.com. Just go to the archives, it's in the 2001 part. If what you're saying is correct, then this will be one of the happiest days ever. Bionicle fans of the world, unite! However, it is illegal to leak picutres and stuff, so don't go posting links to it. Okay dude, I've got proof that the supposed movie is fake. I looked it up and the only link that was related led to the "Custom Bionicle Wiki". Read that again- "Custom". This is a website for Bionicle fanfic. The top of the page says "this fiction written by Clone Trooper 1000". Yeah, it isn't real, sorry. Besides, the story ruins the actual Bionicle story- for example, this false movie says that the Mahri were created on Mata Nui, Sidorak was a Makuta, the Rahaga are mutated Matoran who are prototype Rahkshi, and much more random crap. And now I quote the sentence: "The Rahaga flew off to freedom in outer space." That faked 'movie' sounds like one of the worst stories I've heard. after defeating the witch doctor, the scientists at the hero factory needed a way of stopping anybody else from stealing the quaza on Quatros, so HF made small lucient sprites to carry the quaza down to the core of the planet, and guard it forever. the lucient sprites were made with so many vibrant colours so they would light up the passage ways that lead to the core of quatros, and no other purpose. i hope you like my storyline! 'docfriedchickenboy-whatever-his-username-was' who commented on your FaceBook page had a good idea- a hero team with transparent parts. For example, the leader might have trans orange, the tech guy could have trans lime, etc. This would probably look best mixed with other colors, for example trans orange and silver, or trans green and gunmetal. Just an idea. 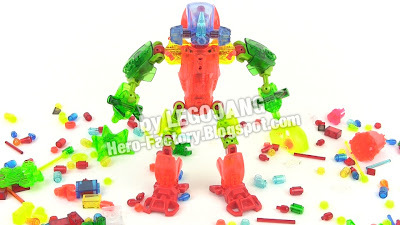 I would make this myself, but I do not have enough trans pieces to make an entire team, but I probably could make a trans lime one with parts from Reapa. And why does Spritty need a storyline? Hero Factory made them as a secret prototype for a new kind of glowing hero, made for going into dark areas and potentialy hazardous places (such as irradiated buildings, and so on), and dubbed them "Lucient Sprites". They devolped them in a secret laboratory underneath the factory, and for several weeks they monitered them. But what they didn't realize was that they engineered them too well. The sprites began to think for themselves, and one night they tried to break out. Dozens of heroes were sent to contain the sprites, and by the next morning, the commotion was over. Citizens of Makuhero city were frightened, but Mr. Makuro assured them that it was only a routine drill. But what actually happened was that the heroes who had battled the sprites had eventually tricked them into hero pods. The pods were launched into space, away from any inhabited part of the galaxy. The project was shut down, and Mr. Makuro warned that no one was to be told about it. To this day, it is unknown what happened to the Lucient Sprites, but hopefully they will never return, and will continue to drift in space forever. How did you get the paint off of the 3.0 name plates? Great MOC, BTW! Story: Scientists were experimenting with a new type of Quaza body suit, when, all of a sudden, the suit morphed to the test dummy's skeleton and became sentient. Since there were many of these tests in progress, and each of them in different shapes, sizes, and colours, they all became a group and went underground. No one has heard of them since, but, every year, on the day that they were created, the sewers light up in an omniescent rainbow. Man, you make ONE mistake on here and you guys are all mean about it OHHH IT'S SOOOO FAKE. Geez, you know what, you guys other than jang are probably amiture noobs at mocs. Whats your biggest moc? 2 inches tall? Look for dragonite986's tutorial about removing the paint on YouTube. sweet, thats pretty big!.... *ahem* not to brag but my biggest is 29 inches. @Anonymous (23rd comment)- apologies. I replied about the supposed movie without seeing that others already had, and even though I attempted not to sound hostile, it might've come across that way. My second post was to set the record straight so jobody was convinced that Bionicle was returning. I suppose that once again it sounded hostile, unintentionally. Sorry. And my biggest MOC is about two feet tall, TYVM. However, my best (not biggest) MOC is Pirai, my self-MOC, who has an entirely custom design (entirely Technic-built body, limbs, and head) and whose Kanohi is the helmet from Bulk 3.0. I do not really know why I just told you all that; I go off on tangents sometimes. I want to get two HF sets for Christmas. One of them is Toxic Reapa, but I don't know if I should get Jawblade or Drilldozer... can anybody answer? Hey guys, Yodamaster again, and they have put the Breakout TV ad on! I just saw it, but the thing is, they advertise the new game, which isn't avalable yet! So kids who don't follow sites like this will go on there for broken promises! Oh, by the way, Split Face is a rip off! He's an awesome figure, but i got him with Furno (Breakout series). Now keep in mind, furno has 56 peices, and Split Face has 50. Furno came to $14.99, and Split Face came to $19.99!!!!! Make sense to you guys? aIt made absolutely no sense to me other than the stupid excuse that Split Face is a villian. Do LDD mocs count because I made a combiner that is about 16 inches tall, if you want to see it go to Lego then the LDD area and click on gallery and were it says name enter super hero combiner. My biggest MOC? Hehehe... 27 1/2 inches tall. I'm not speaking to you to put you down or anything (I encourage MOC making), but if anyone wants to see it, click my name to go to my website, and then click on the photos page. My largest MOC is 25 and 3/16 inches tall. Wow you all make my combiner look puny. It depends. Are you a MOCist? Or do you want to put your sets on display? I'd say Drilldozer is best for MOCing purposes; lots of silver and black armor. I don't know much about Jawblade though. if you already make creations, then you are a MOCist... you dont need official permission to become a MOCist, just go for it! Come on Jang, one more post and this month will have the most posts ever! How about a new years eve special or something? Furno has a lot of little peices, so if you considered the overall mass of both sets, Splitface would probably come out to be more. And don't forget to click on my name to go see the bionicle storyline I made! the hero factory scientists wanted to make something to help distract villains, so they invented the lucient sprites. these drones would stand in the view of a villain, and distract him/her (wouldn't it be cool if there were some female villains!) with strange movements and noises. it was made with so many different colours so it was easily visible. when a hero named zafar 2.0 tested a lucient sprite on a villain, the villain just became more suspicious, and the mission was called off. zafar refused to try again, so the HF scientists deactivated all the lucient sprites and kept them in a store room. about a year later, a rookie's curiosity lead him to enter the store room, and accidentally reactivate one of the drones, which then escaped and fled to the mountains where it still remains. Are you not updating because you haven't found Breez and Thornraxx or are you not updating because you don't like me. JAng somebody posted a picture of the drone on the gallery his names furkfrompork BRING HIM TO JUSTICE!! My largest MOC is...(takes out measuring tape)a minimum of 5 1/2 inches tall, in a standard pose(which it is currently in)is 10 inches tall, but when fully extended in that direction is 15 inches, also (because tallness is not its strong suit)its minimum width is 6 inches, standard pose 17 inches, maximum width is 19 3/8 inches, but the blow of grace(coup de grace) is length. Its minimum length is 10 inches, standard pose length 16 1/2 inches, and the maximum length is 24 1/2 inches. Well then I'd suggest Drilldozer, he has a plethora of useful HF MOCing parts, and he is the only set that you can get the big vest-like body armor piece from. Well go to mocpages! I can favorite you if you want! If u want to become a mocist, what's stopping you? I am a mocist and I started out not knowing what the hell I was doin'. Then I just kept buying sets and taking them apart until... Presto!! I made my first moc, a bionicle named toa terraxx. He was cool. Feel free to post an answer... What was your first moc? The Drone was not Jang's creation (If you were talking about the one from the first movie, if not I'm not sure what you're talking about.) He based it off of the one seen in the movie, which someone else built for a contest. My first MOC that I can remember is Toa Rokou, click on my name to go to my website about my made up story of Meta Nui, and go to the photos page and click on the "good guys" album. @Anonymous (comment 38)- is Zafar a MOC of yours? yes, well sort of, i've planned Zafar and i know exactly what to make him look like, but i haven't made him yet. Avron, I think they meant the Lucient drone. then later in mokuhero city it broke free from the lab and started roaming the streets when someone alerted the heros but it was too late because it had already spread its species across the city. p.s. your videos are awesome!!!!!!!!!! Use of any of my photos, videos, screen caps from my videos, or large amounts of my text, or anyone else's, without explicit written permission is theft and a violation of copyright law. 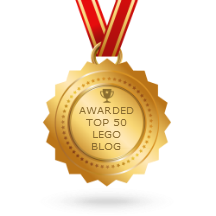 Every month or so I write to LEGO and they take down every photo of mine from their gallery that other users had re-uploaded, pretending they were their own creations. Thanks for clearing that up Jang. Here is the information from the gallery so that it can be found and taken down. Hope that helps, Happy New Year! How about this? : The Lucient Sprites are a species that lives in the center of stars across the universe, and oh the very oldest of races know of them, because they sustain themselves on heat, and, in turn, create heat and light. The Hero Factory recently found out about their existence because of a hero who got trapped in a stars gravity field. The hero managed to get pictures before being melted and then crushed. Your picture is the Hero Factory's first model.